7 right rake teeth, short handle ash, Botanica. Ideal for working in tight spaces and flower boxes. 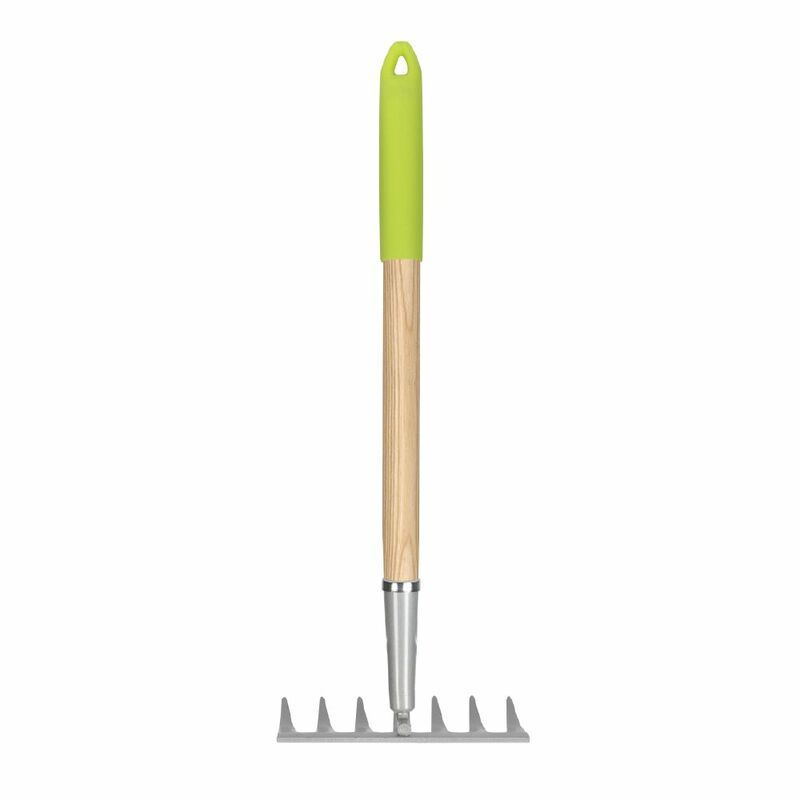 Spread earth and level the soil in your flower beds or vegetable garden with the Garant Botanica level rake. Its narrow head allows access to hard-to-reach spaces. Developed to suit all gardeners' needs, Garant's Botanica line of gardening tools is specifically designed to comfortably fit all hand sizes. With a handle rated strongest in its class and hand-forged from one piece of military grade hardened steel, this bow rake will get the job done. Designed with a 16 head with 16 tines. Perfect from spreading earth, loosening soil, and clearing gardens. Garant Garden Care, Bow Rake, 14 tines, steel head, charcoal varnished ash handle, non-slip control grip. Garden Care, Bow rake with a 14 tines new steel head attachment for maximum sturdiness. Charcoal varnished ash handle with non-slip control grip. Great for spreading and leveling earth, clearing flower gardens, and loosening soil. Mid Sized Botanica Rake 7 right rake teeth, short handle ash, Botanica. Ideal for working in tight spaces and flower boxes.